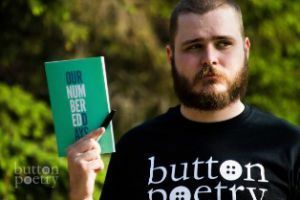 Pensacola State College will welcome Slam Poet Neil Hilborn for a live performance at 7:30 p.m. Thursday, April 5, in the Ashmore Fine Arts Auditorium, Building 8, on the Pensacola campus at 1000 College Blvd. Hilborn, who uses his personal battle with mental illness as the inspiration, is the 2011 College National Poetry Slam Champion. His well-known poem, “OCD,” has been viewed online more than 75 million times. He has performed in 40 states and eight countries, and has traveled more than 100,000 miles to perform his poetry. Tickets go on sale Thursday, March 15. Ticket prices are $11 for reserved admission; $9 for seniors, non-PSC students and children; $7 for PSC faculty and staff, PSC Senior Club and Alumni Association; free for PSC students with a current ID. Purchase tickets online at www.pensacolastate.edu/mt or at the Lyceum Box Office, Building 8, Room 861, from 8:30 a.m. – 4 p.m. Monday through Friday.